Outdoor Activity and Discovery Morning with Play Explore Art. Join us for a special morning of creativity, exploration and discovery – sure to get your young son inspired, involved and probably a little messy! 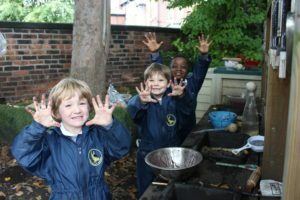 Led by Steph Jefferies from Play Explore Art, who regularly delivers sessions in conjunction with the Yorkshire Sculpture Park, the focus will be outdoor activities aimed at the exploration of nature through a number of hands-on experiences. The session is free, with no need to book a place. Mums, Dads, Grandparents – and of course, curious, exuberant little boys – are most welcome!